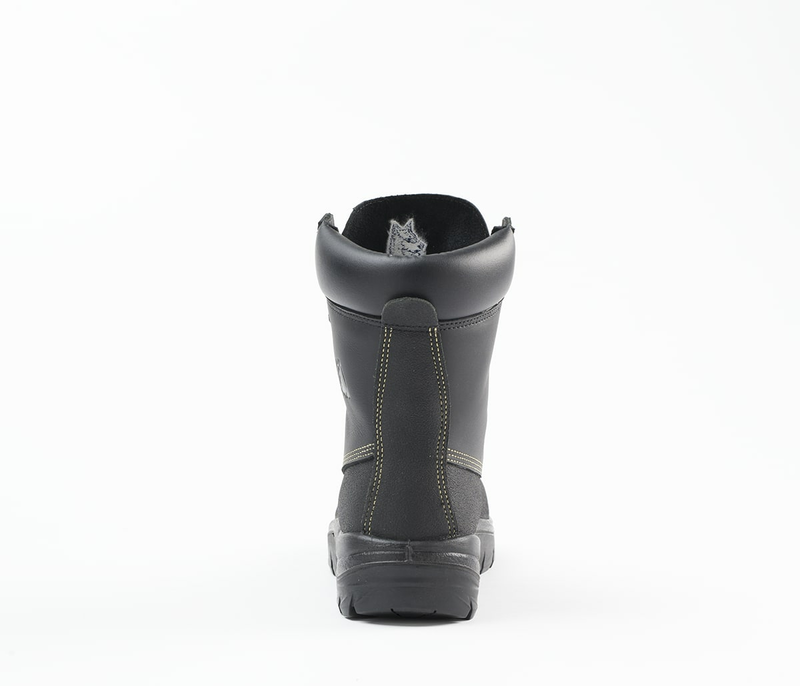 The Jarrah Ladies is a 190mm derby style high leg boot. 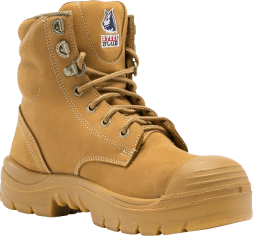 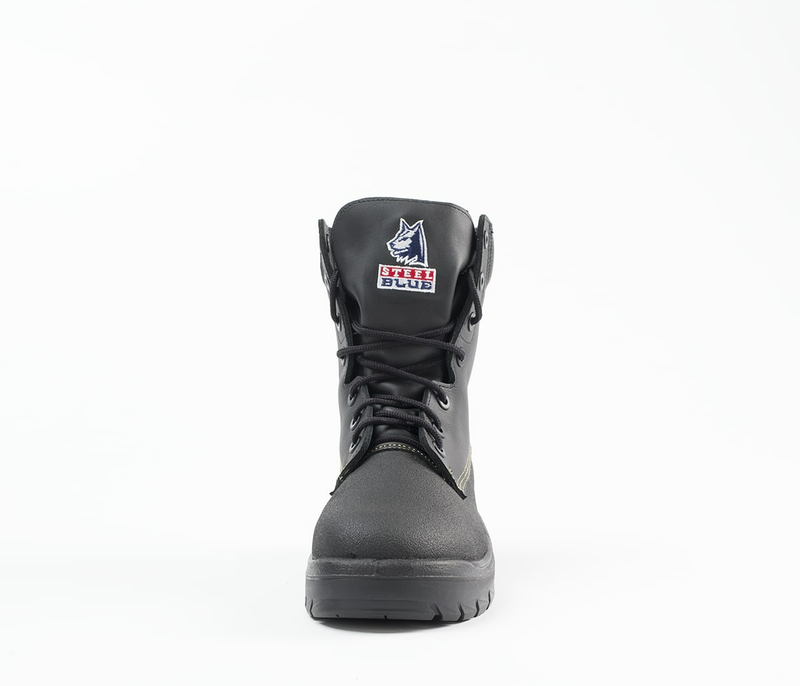 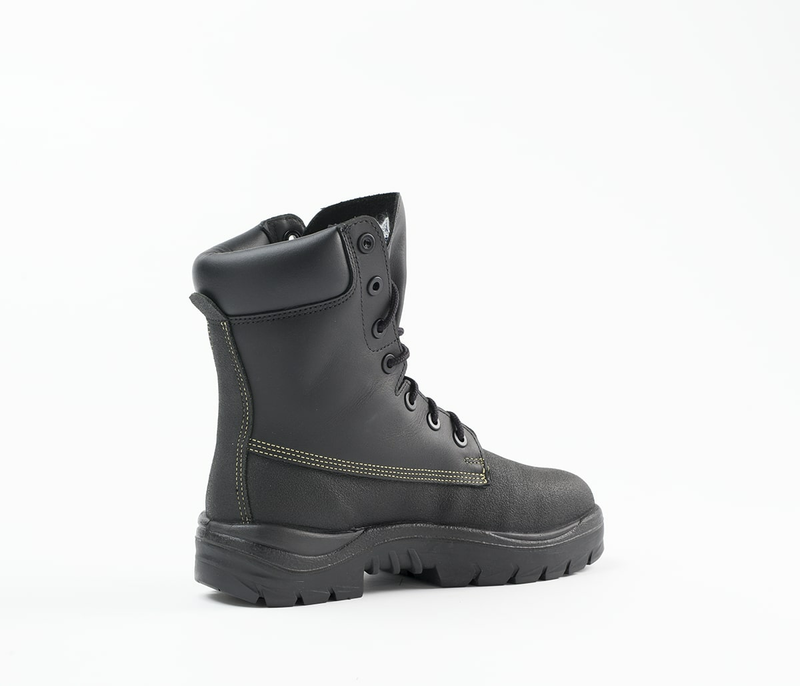 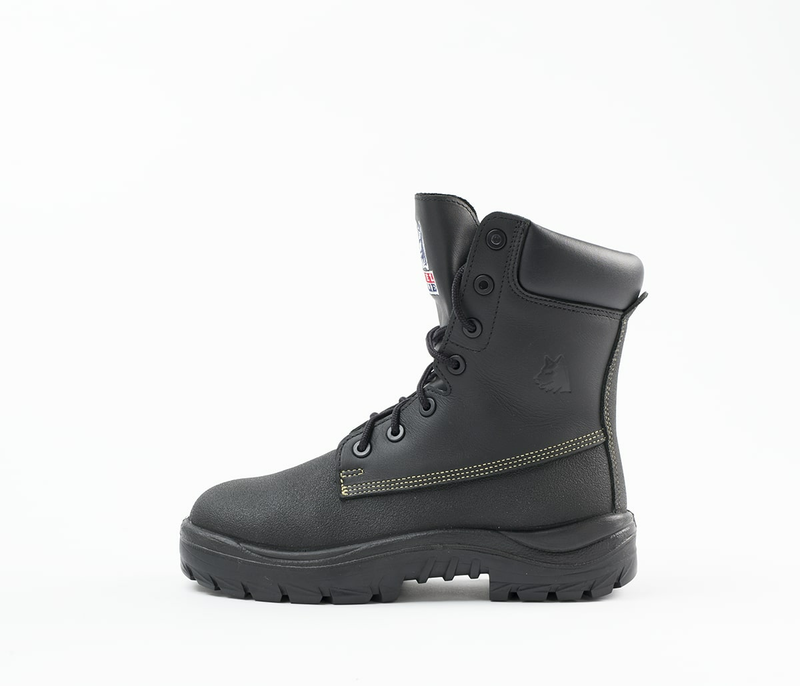 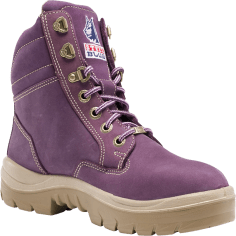 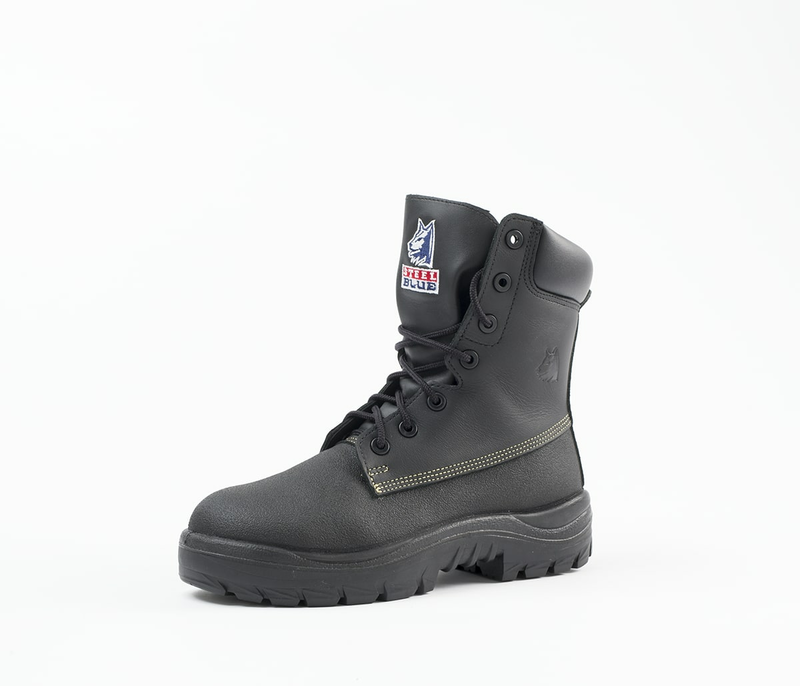 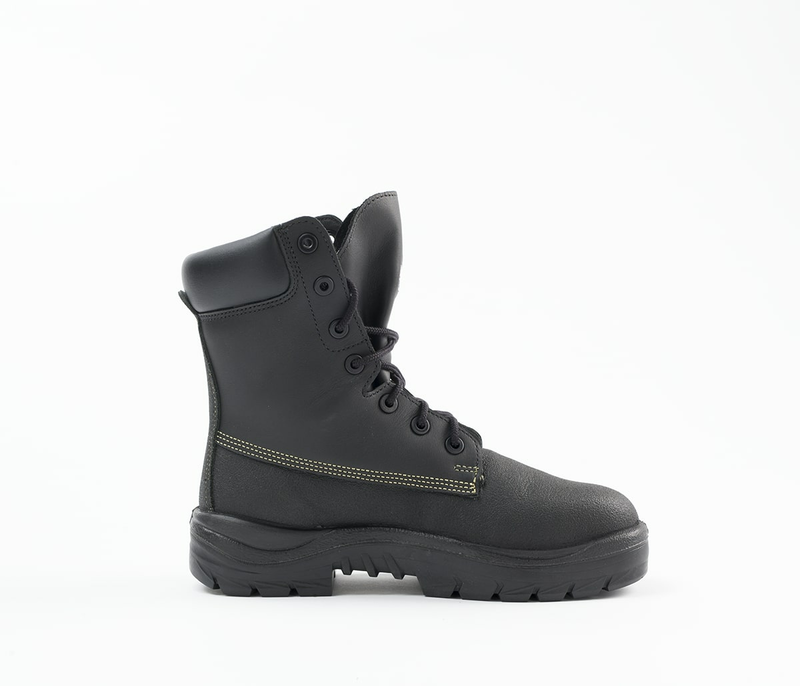 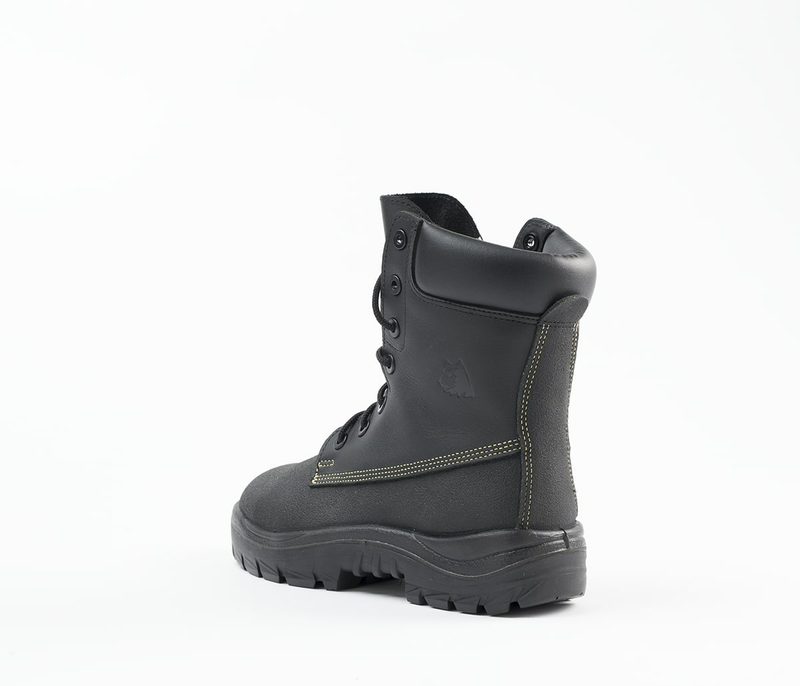 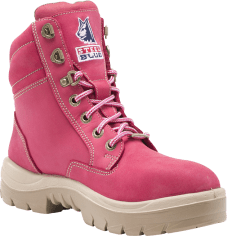 This Ladies Lace Up boot features a padded collar, bellows tongue and a 200 joule Steel Toe Cap to protect your toes. 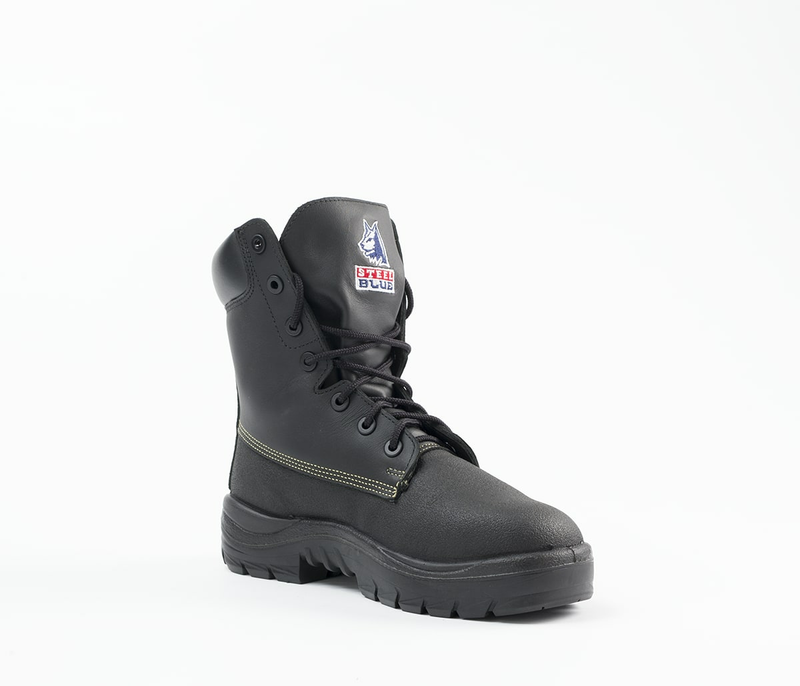 The Anti-Static properties within the sole offer a level of protection against ignition hazards. 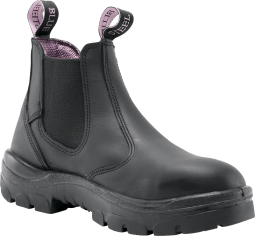 Crafted from TECtuff® Leather, the Jarrah Ladies offers Chemical Resistant properties and is stitched with strong, heat resistant Kevlar® aramid fibre thread. 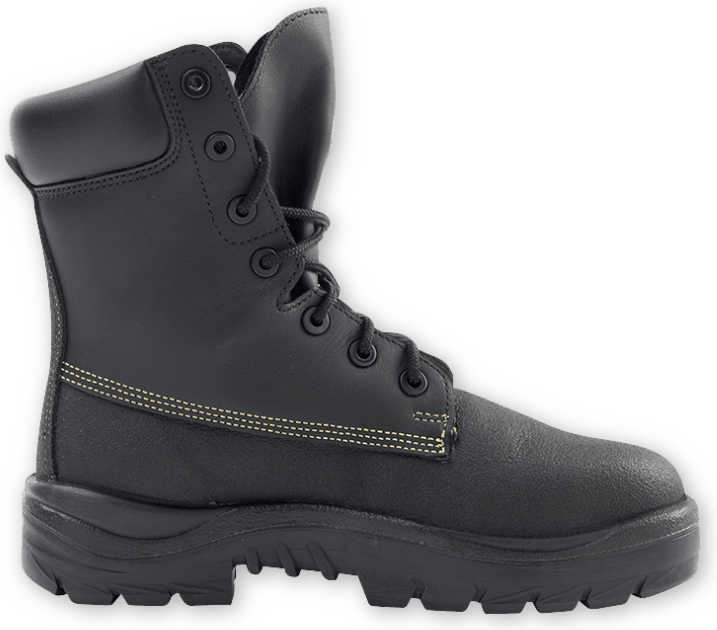 The Non-Corrosive Eyelets have been constructed to outlast standard eyelets, which can weaken with corrosive materials. 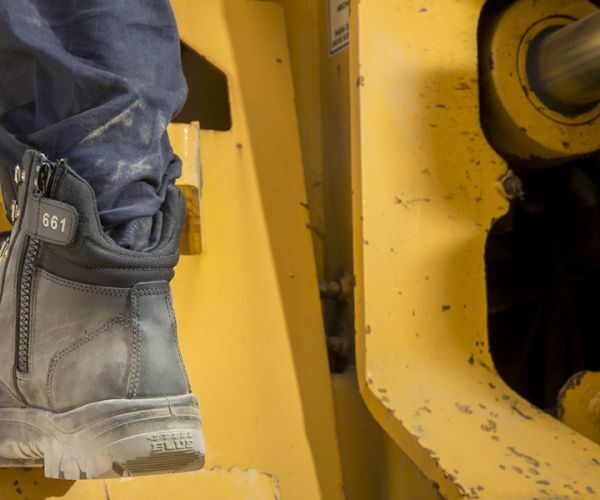 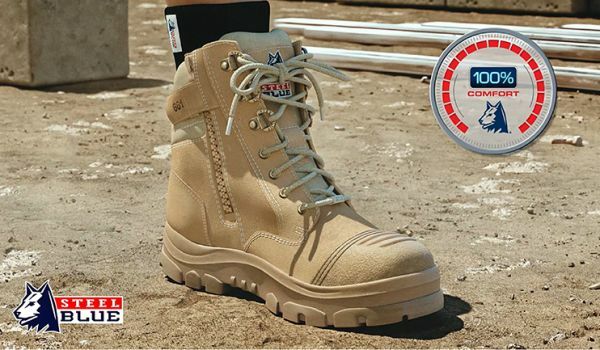 The 300°C heat resistant Nitrile Outsole offers premium protection, while our patented Trisole® Comfort Technology, works to cushion your feet, knees, hips and lower back from day-to-day fatigue. 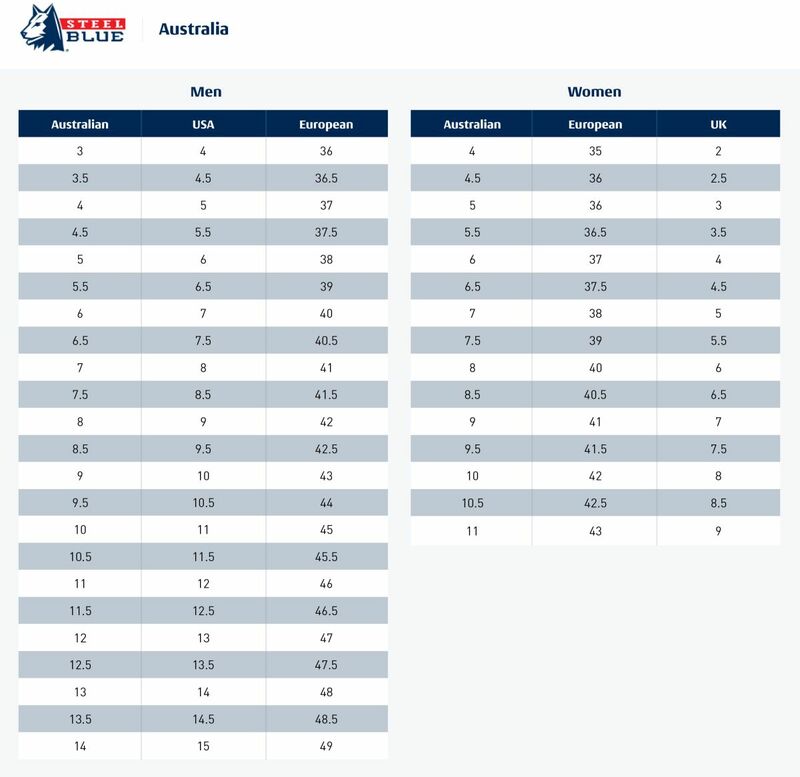 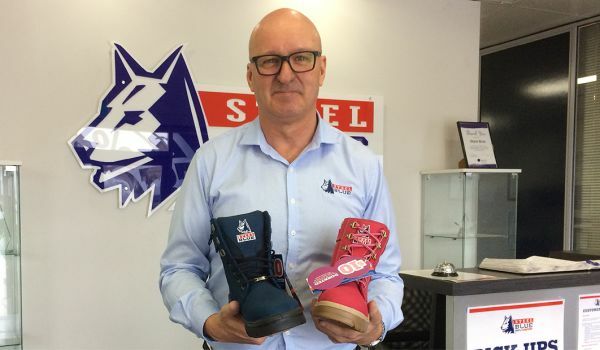 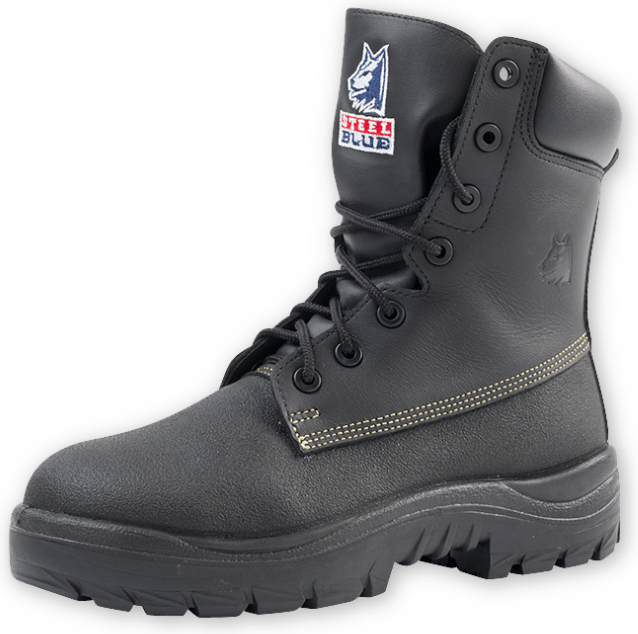 All Steel Blue Ladies safety boots are designed just for women and include a higher arch and smaller in-step.